We can’t think of a better way to embrace the plummeting temperatures than to throw yourself into the snow season with a trip off-piste to sunny snow capped mountains afar. Whether you’re escaping the chaos of Christmas, or working off the annual festive indulgence in a January jaunt – a little downhill action and après-ski can offer the perfect opportunity to showcase your slickest ski gear, finest cashmere, fun faux furs and serious shades. 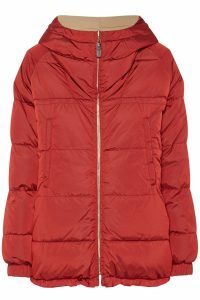 The good news is, with designers and high street retailers alike celebrating cosy knits and plush puffer coats this season, we no longer have to forsake warmth for style on the slopes. When considering your snow-bunny attire you’re in luck, as oversized retro woolies and mountain-ready luxe fleeces starred on the AW17 catwalks such as Chloé, Joseph and Sportsmax. 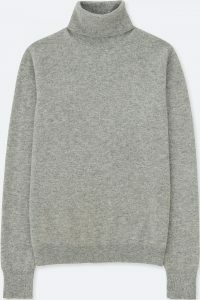 Pair your chunky knit with stirrup leggings (yes they made a comeback thanks to Balenciaga) and of course, the style of the season – the super-soft padded jacket. 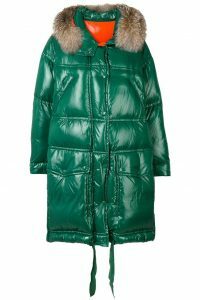 Once only considered acceptable for mundane activities such as the school run or walking the dog, the padded (or puffer) jacket has recently been spotted in much swankier situations. Celebrated worldwide by the fashion elite, style bloggers, celebrities and models – we can all embrace the comfiest of winter-wear with confidence on the slopes. It’s the next best thing to wearing your duvet outdoors! 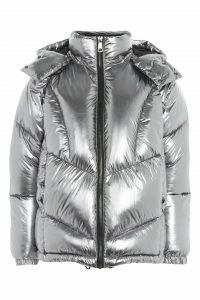 Moncler continues to win the ski style race when it comes to padded outerwear, as it’s as fashionable as it is technical. Win, win! 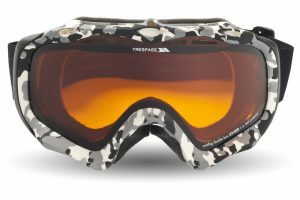 Goggles are a must-have when it comes to skiing. 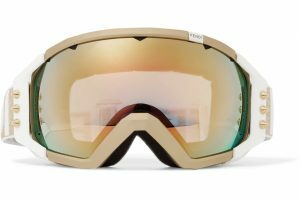 If you intend to spend more time on the slopes than sipping hot toddies it’s worthwhile investing in a decent pair. 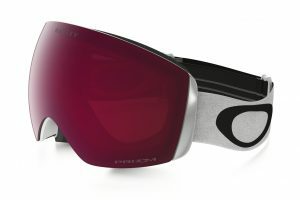 Check out these Oakley Flight Deck XM goggles with Prizm lenses, they adapt to the weather meaning you’ll have the sharpest of sight even in poor visibility conditions. Not only practical, they look the part too. What was once considered an optional accessory for novice skiers, a helmet is now considered top of the list of safety gear when it comes to slopeside etiquette. This can spell bad news on the hair front. Fear not! 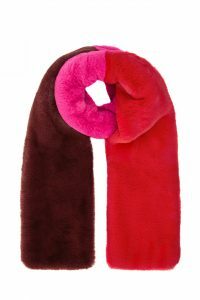 Post-piste cover your slightly lackluster helmet hair with a bright bobble hat, chic beret or faux fur headband. Tie long hair back or practice your best french braids for effortlessly stylish casual grooming. 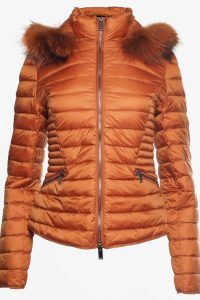 When it comes to nailing the chicest of après-ski style, there’s a fine balance – regardless of your fashion goals, practicality remains of utmost importance. Work your capsule wardrobe to create an easy transition from mountain to your après-ski spot of choice (after all this may be a pitstop on the slopes for a warming mulled wine). 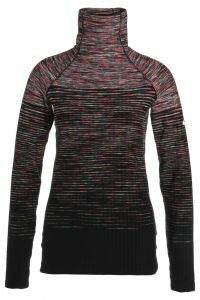 With this in mind, pack multiple breathable layers than you can peel off and add on accordingly. Think heat-tech t-shirts hidden under layers of lightweight cashmere. 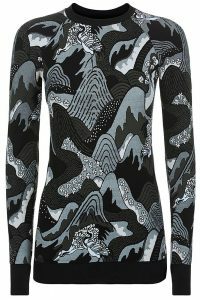 Lightweight layering tops are also ideal for lounging fireside in your cosy chalet by night. When it comes to trouser basics, consider the length – long styles will trail in the snow and make for miserable soggy ankles. Opt for the stirrup ski pants, tapered joggers or if denim is your deal – cropped jeans, ideal for wearing with ankle or snow boots. Alpine-appropriate footwear is essential. Leave your favourite styles at home such as trainers, cosy slipper boots, converse (and of course heels) – they won’t survive! 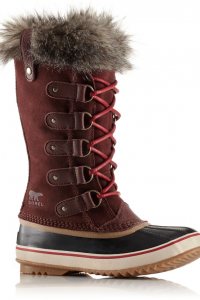 Chunky track sole boots will ensure you exude seasoned pro-skier style, while keeping you upright on the slippery slopes. 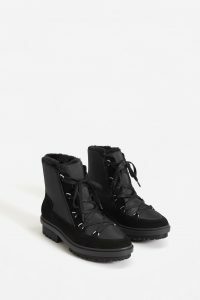 As well as being oh-so-practical, track sole boots are also on trend thanks to the likes of Louis Vuitton and J.Crew – making them appropriate for snow strolls, fireside feasts and après ski tipples. 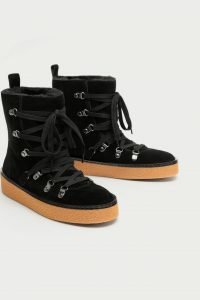 We love the high street’s take on this seasonal staple by retail giants such as Mango and Sorel. 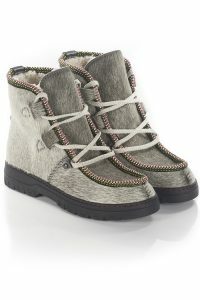 Lastly if in doubt, opt for fur-lined boots with a waterproof sole, as reliable shearling takes centre stage for below-freezing footwear. Fancy a pop of colour? While furry outerwear and fluffy accessories can leave you a little hot under the collar at home, they really come into their own in the chilly mountains. Cheerful brights never looked so good than against the crisp white backdrop of snow. 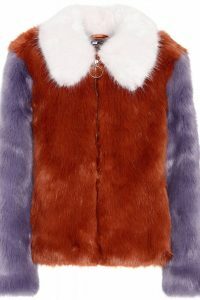 Here’s your chance to have a little fun with faux furs – add a bright, fur trimmed collar to neutral knitwear or contrast a sporty ensemble with a fabulous faux fur coat. 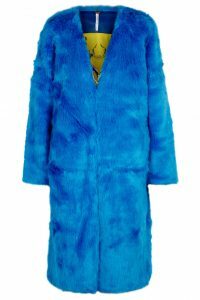 Top tip: wear your statement coat to travel, as it’s likely to bump up your baggage allowance.